A career in the electrical industry is one of the most in-demand in America. Becoming an electrical professional gives YOU the opportunity to work with your hands, encounter versatile and challenging task and enjoy high compensation and job security. Now is the time to launch your career in the electrical industry. There is a lifetime of career opportunities for YOU in this high demand and skilled profession. Electricians are highly-skilled and significantly compensated for their unique knowledge and abilities. According to the Bureau of Labor Statistics, the median hourly earnings of a trained and qualified electrician, in 2014 was $24.57, with the top 10% earning more than $41.15 per hour including benefits. Typically a registered apprentice will start at 50 percent of the rate paid to an experienced (Journeyman) electrician. The IEC Apprenticeship program wage progression allows for increases at certain intervals making it possible for the apprentice, in most cases, to double their earnings during their training. IEC Graduates who want to continue their education have a head start on a college degree. The IEC program provides up to 40 college credit hours. This equates to $30,000 of college education, using the average tuition cost currently in the US. Enroll in a Texas IEC apprentice training program and Earn While You Learn! IEC’s programs are regarded as among the best in the industry; and are recognized by the U.S. Department of Labor. With nine IEC Chapters in Texas, providing training to apprentices each year in the classroom and online, the choice is yours of where and how you would like to attend. Our four-year apprenticeship program will allow participants to gain the knowledge, technical skills, and practical experience necessary to succeed in today’s electrical trade and competitive construction industry market. Why Is The IEC Program So Successful? The IEC Certified Chapters apprenticeship program is evaluated by the American Council on Education (ACE) annually and awards (37) college credit hours equivalency. Be capable of performing the physical and mental essential functions of apprenticeship. Be a U.S. Citizen or lawful Resident Alien. Be registered for U.S. Selective Service. Previous education or training in the electrical trade. High school courses in mathematics, physics, electricity and shop. Special training offered in the U.S. Armed Forces or postsecondary technical schools. Reliable source of transportation to school and to the job site. 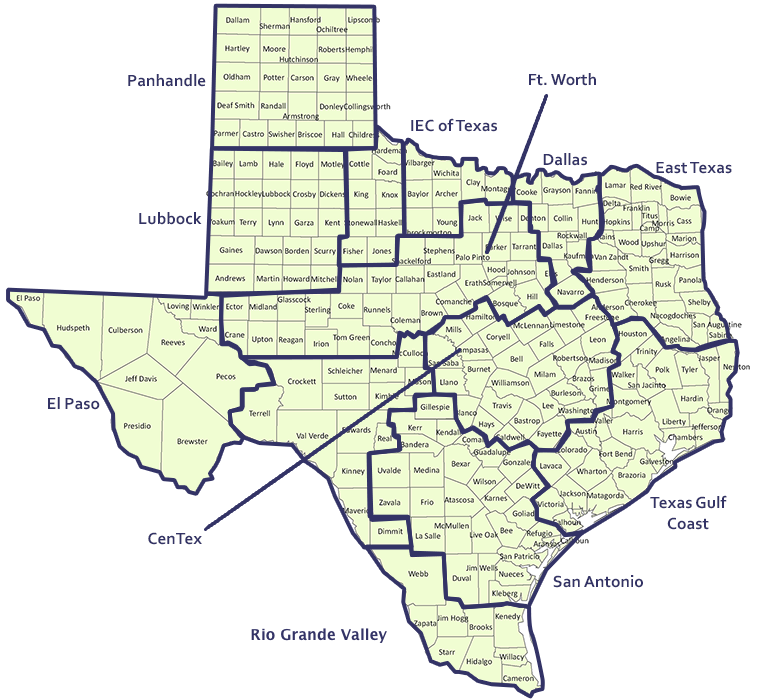 The application process varies by location in Texas, so this is a general scenario. Complete an application at your local IEC chapter office – check with a local chapter for times and locations. Find your local chapter on the map below. Pay a nominal application fee of $50. (Applicability and fees vary by location). Work for an IEC contractor or if you are seeking a job, speak with the chapter office about employment application or placement with a member contractor. Present the IEC with a form of identification such as a Driver’s License or State or Federal issued ID card. Provide the IEC with a copy of your high school diploma or GED. Take a math assessment test (varies by location). Obtain a current Texas Apprentice Electrician License upon acceptance and prior to employment into the apprenticeship program. If a Military Veteran, provide the IEC with a copy of your separation document DD214. If a Resident Alien, provide the IEC with a copy of your Green Card or U.S. CIS employment eligibility documents. Attend an interview and program orientation. Apprenticeship is open to all applicants who meet the enrollment requirements outlined in the IEC Standards of Apprenticeship without regard to race, creed, national origin or gender. Though not guaranteed, in many cases, employers pay for all or part of your training program and textbooks – plus you get paid to work full-time as an apprentice with an IEC Contractor. The program cost per apprentice varies by location but is typically $1,000 - $1,500 tuition per year plus $300 - $500 book package depending on the training year. Electrical Apprentice Training, What You Will Learn!